Celestino Piatti. 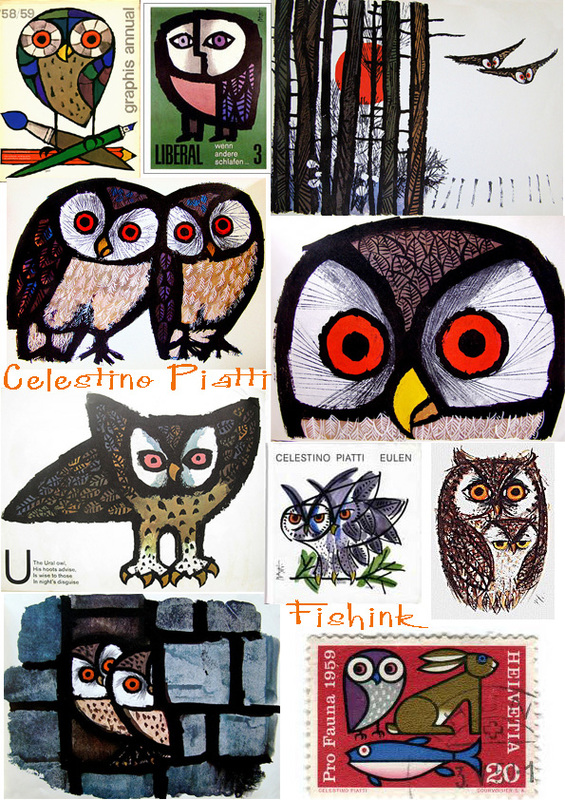 Swiss Artist, Painter and Designer. 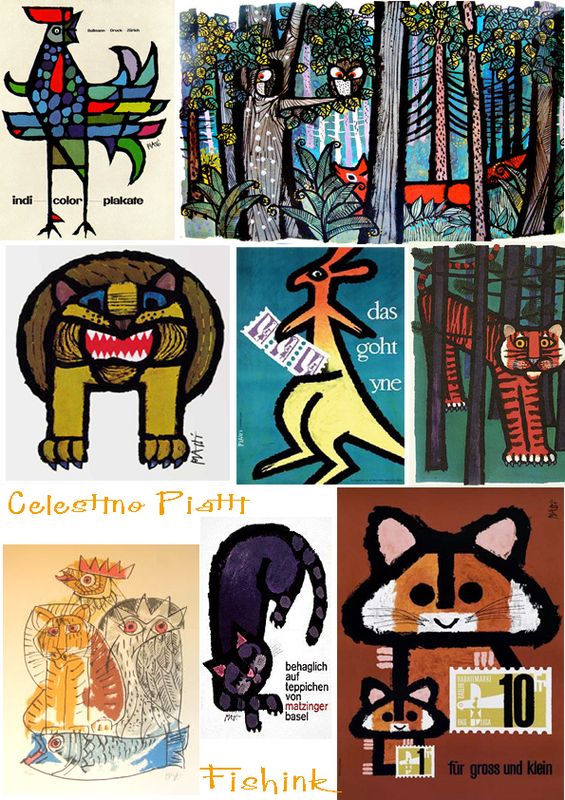 Celestino Piatti (1922-2007) was a Swiss graphic artist, painter and book designer. the mid-1990s, were designed almost exclusively by Piatti, a total of over 6,300 titles ! advertisements and posters, providing a uniform identity to the DTV catalog. but never get its secret”. I love his fresh strong lines and scratchy details. No wonder kids and adults liked him so much. 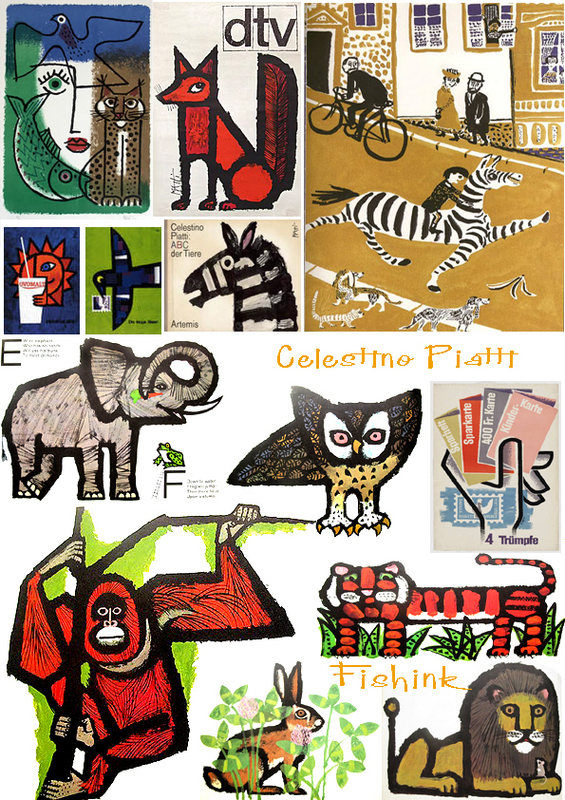 There is an interesting interview with Celestino taking about Poster art here. ← Sian Alexander. 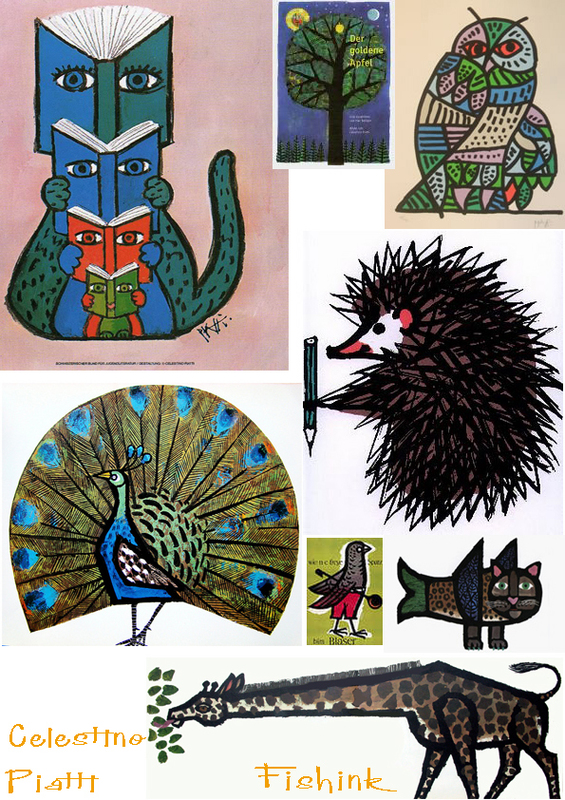 Birds, beasts and ceramic wonders. I really like the ‘fox n owl in the trees’ and the ‘2 owls flying past the trees’. His work is incredibly bold…..I wonder if he was as strong a personality ?